Having a great night in a perfect party outfit is one of life's most underrated joys. There's no better feeling (sartorially speaking, at least) than stepping into whatever birthday/soirée/office Christmas party looking amazing in whatever you're wearing—from your carefully-selected earrings to much-loved heels that don't destroy your feet. With party season here, now's the time to get focused on these small successes. To get in the mood, we've decided to look to the A-list for inspiration. Of course, there are a few elements archetypal of party dressing that wasn't hard to come by. Think luxe fabrics like satin and silk (Elsa Hosk's impressive Alessandra Rich dress comes to mind); glamorous silhouettes (take Kate Moss's velvet jumpsuit); and standout accessories to complete the look (make sure you don't miss Kate Bosworth's diamond choker). But most of all, I've been excited to see Claudia Winkleman (our favourite Saturday night TV lady) wearing the Zara dress we've been eyeing up for weeks—the obsession is confirmed and I'm so disappointed to tell you that it's now sold out. If you don't act fast, you do miss out. Style Notes: Here's the gorgeous Claudia wearing my favourite Zara dress. There are other similar versions, but this beauty has now sold out online. Style Notes: Our forever style muse Alexa Chung expertly demonstrates how to keep your party look chic even after making your exit via the Saks Potts coat of our dreams. There's our club-to-cab look sorted. Style Notes: Tracee can wear the most wild looks but sometimes she plays it down—and still wins. This chic black Marc Jacobs suit and bralette combination has piqued our interest. Style Notes: When it comes to party dressing, Adwoa Aboah's tends to mix flirty dresses with accessories that stay true to her cool-girl style. Copy accordingly with a floral dress and heavy-duty gold jewellery. Would you look at that bag? Style Notes: We're majorly into the Big Bird vibes on Rosie Huntington-Whiteley's Attico red ostrich feather dress. While this one is now out of stock, the brand stocked another that is equally as fabulous. Style Notes: If you're really not a dress girl, take a cue from Olivia Culpo and wear shorts with sparkly tights—all black makes this idea far chicer. Style Notes: Elsa Hosk proves satin is a sure-fire way to up the glamour. Just add crystals, as with this Alessandra Rich dress, and you're good to go. Style Notes: Jorja Smith has a great wardrobe of cool British brands like Marques'Almeida. This gorgeous blue dress is from a real up-and-comer Tuğcan Dökmen. Style Notes: From the pose to the jewelled tights, everything about Jourdan Dunn's party look is damn perfect. Style Notes: Yes, the joy of winter means a showstopping coat no longer needs to cover your outfit—it can be the outfit. Take Suki Waterhouse's excellent Cushnie coat, which she wore draped off her shoulders akin to a dress. Style Notes: Leomie Anderson demonstrates the enduring power of an oversized trouser suit. While Leomie's is vintage, we've scouted a similar Topshop version below. Style Notes: If there's one woman who's had experience in the field of party dressing, it's Kate Moss. Here, the supermodel icon proves years of fine-tuning her party-girl aesthetic have paid off, looking glamorous in a velvet jumpsuit with satin detailing. We bow down. Style Notes: Rita Ora looks like a 1960s pin-up in this feathered dress and beehive. Style Notes: Yet another strong case for satin, Kate Bosworth's party look falls at the formal end of the scale. Sidenote: We're majorly digging the diamond choker. Style Notes: The luxe suit memo has spread far and wide—Jess Glynne's Peter Pilotto version is particularly fabulous. Style Notes: Supermodel Georgia May Jagger keeps things simple in a crimson slip dress with punky tartan heels and a metallic bag. Style Notes: J Lo knows it: When in doubt wear pink, feathers and sparkly earrings. Style Notes: If you aren't all for feathers and sequins then take a prompt from Sienna and her minimalistic (but cleverly mismatched) combination. Style Notes: Solange Knowles takes the concept of party dressing to the nth degree in a crystal-embellished Gucci co-ord. Style Notes: Adut is the new model everyone's psyched about for 2019, and Erin O'Connor is still way up there as the elegant face of British fashion—of course these two both have excellent party wardrobes. 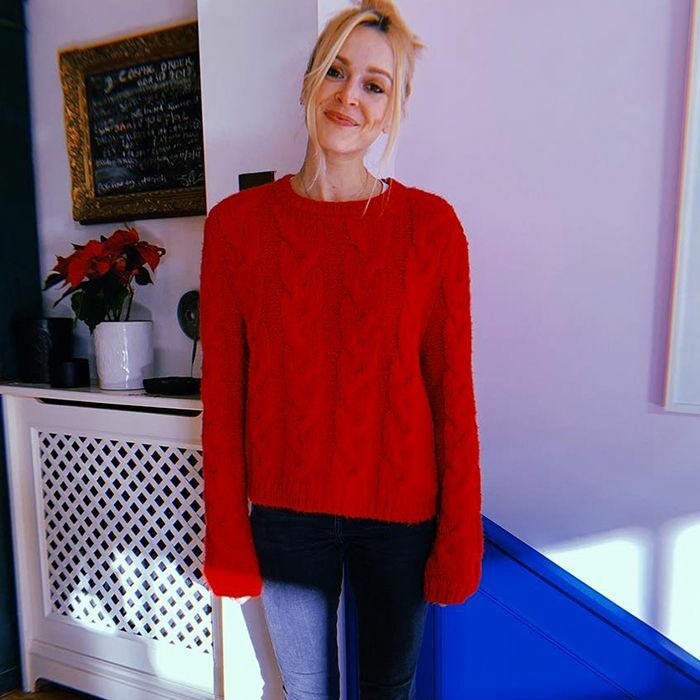 Style Notes: Fearne loves a rainbow pattern and these sequined pants are just too good to miss—you can pick up a similar pair from ASOS right now. Next up, our top tips on what to buy now.